Your eye has a very limited capacity to perceive all the signals around you. You need a microscope to see very small things, a telescope to see things far away, and an infra-red camera to see in the dark. Similarly, Biofield Imaging (digital light filtering) software provides another way of allowing you to see more information about your surroundings. It takes the light signals received via video and still cameras and digitally filters them with a computer programme; with the aim of altering the image to reveal 'hidden' things the eye would not normally see. The original purpose of digitally filtering the light around subjects was to aid human health assessment. However, whilst investigating this health application of the software in our research we discovered that various practitioners were receiving 'paranormal' results - i.e. the images the light filtering produced were not in the 'normal' or 'expected' category. See examples below. Many years ago I (Jane Solomon), along with my husband Grant, worked with Psychic Surgeon Stephen Turoff in his clinic in Essex, UK. Over the year we were there, we took hundreds of biofield images of people before they had Psychic surgery. In addition to her painful lower back and the hip, the woman above had discomfort in her upper back and throat. This upper body congestion has resulted in the thick, dark, red and blue imbalances seen within the shadows under her arms. The yellow energy in solar plexus and navel areas suggests some stress. She has congested red and blue energy in pelvic region which suggests she may have problems in that area. Unfortunately, since she did not revisit the clinic when we were there, we weren't able to do an after psychic surgery scan to see if there were any visible changes after treatment and also to ask her how she felt. 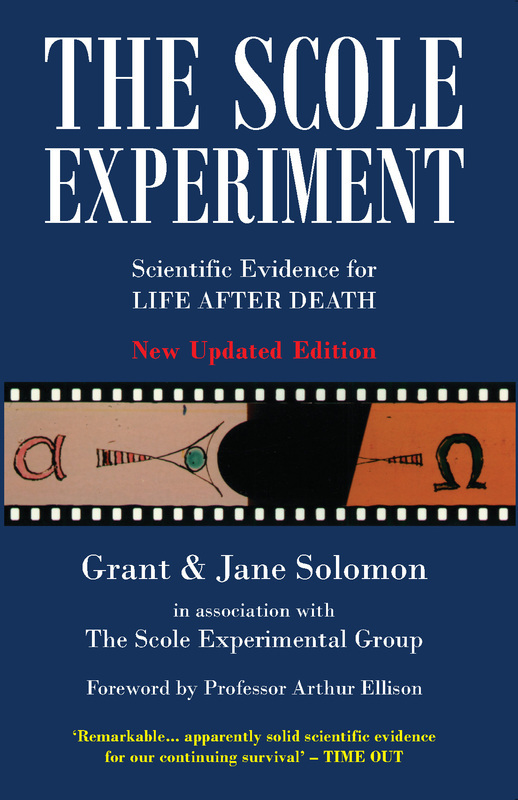 The two mediums, Alan and Diana Bennett, from the ground-breaking Scole Experiment, have now continued with experimental sessions using BioField Reader. 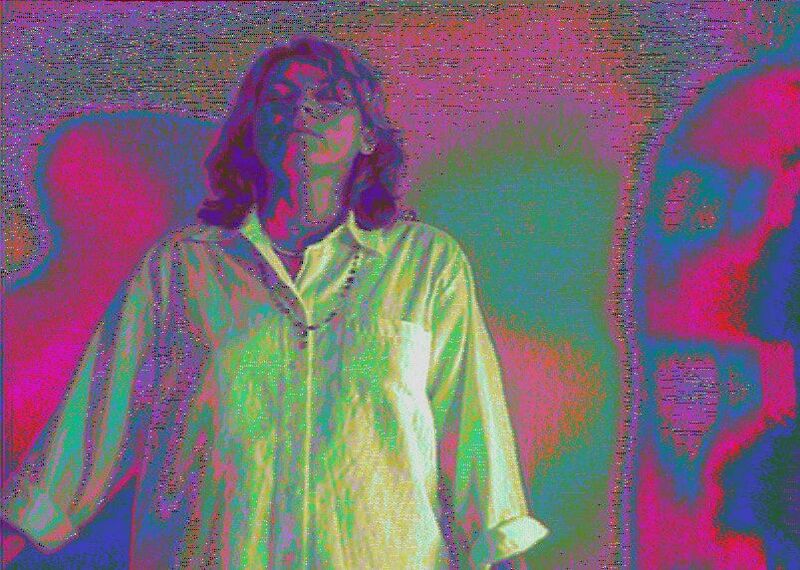 One experimental session involved filming Diana, who is a frequent meditator, as she meditated. 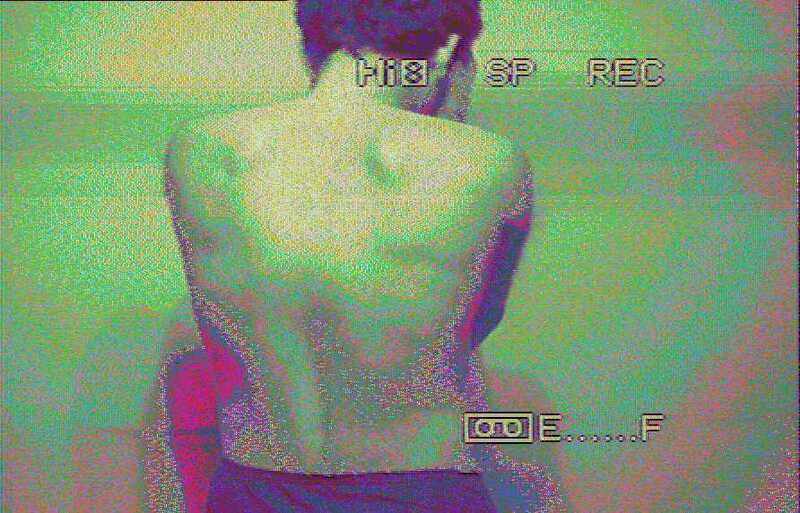 The footage, when run through the Biofield Reader software, revealed unexpected and remarkable changes in the light on, and around, Diana. The position of camera, subject and the lighting remained the same throughout the session. A Logitech C920 HD Pro webcam was used. The images above were captured during the first part of the meditation session. Even more remarkable changes occurred as meditation continued. Below are images taken by Dr Yamuna, a qualified medical doctor specializing in anaesthesia. Some time ago, after beginning to see the energy field or aura with her own eyes, she became very interested in energy medicine of all kinds. Dr Yamuna showed us one of the paranormal results she received using the filter, and kindly gave us permission to publish and share the relevant images below, which also show her original handwritten notes. Dr Yamuna was conducting an experiment in her clinic, to see how Kundalini meditative states affect the light patterns around the person meditating. Image 1: subject starts her meditation. Image 2: subject goes deeper and maintains the Kundalini meditative state for a few minutes. 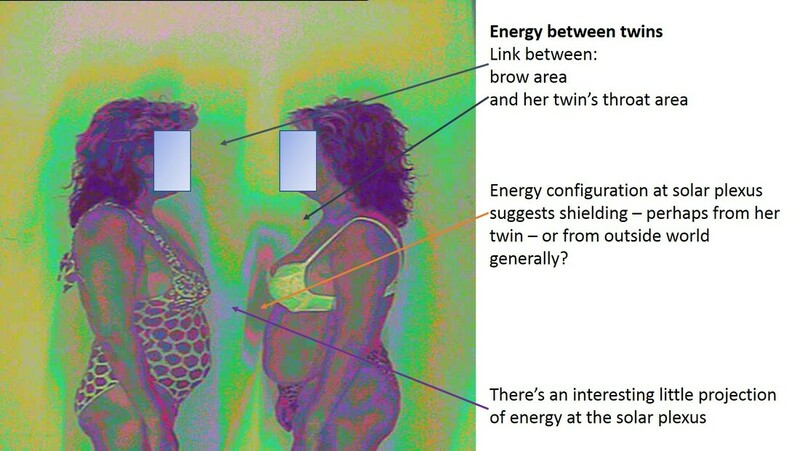 Image 3: subject stands up after meditation - her body shape begins to change in the filtered image and the outline of an oval shape begins to form. Image 4: An 'egg‘ enclosing oval bands of colour completely replaces the subject's form. Image 5: another woman in the room enters the camera‘s field of vision and appears to 'disturb' the subject's light field and so ‘breaks’ the 'egg' pattern. 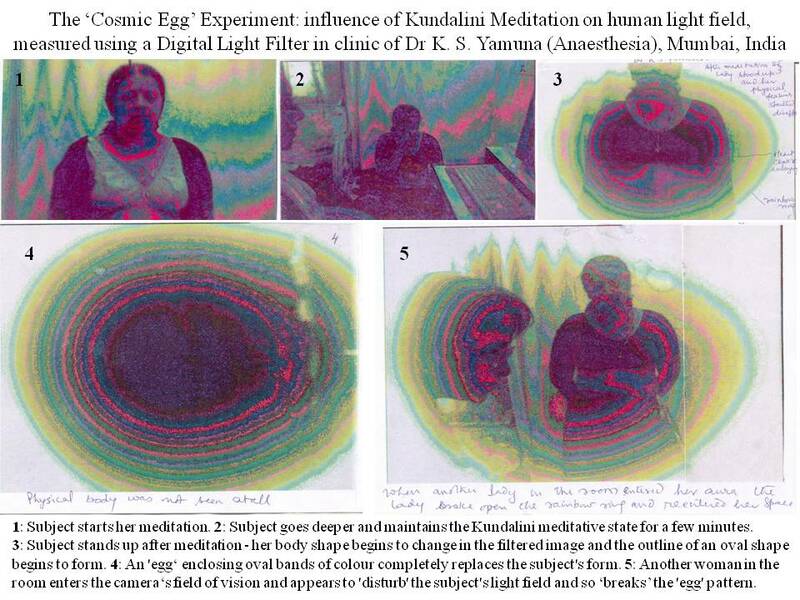 There could be many interpretations of this series of events and the resultant images captured by the digital light filtering equipment Dr Yamuna felt that one explanation could involve the 'cosmic egg' from Indian spiritual philosophy. 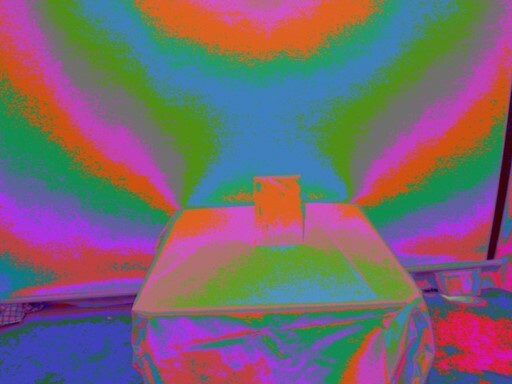 We therefore now refer to this as the 'Cosmic Egg' experiment. The images above were processed using another similar digital light-filtering software. Over the years, we at Resolutions have seen some amazing phenomena with BioField imaging. 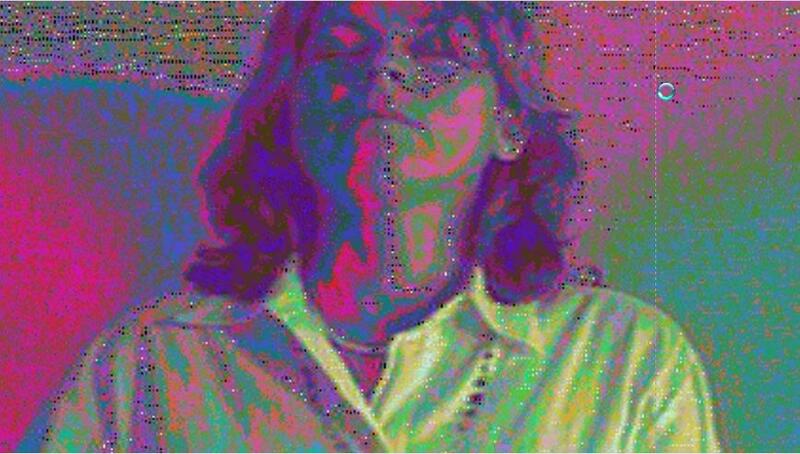 The young woman in the scans above reported sudden psychic disturbances & that she was affecting electrical equipment. She said that lights around her would flicker, light bulbs would blow & that computers would malfunction. As she was causing problems with computers we saved each scan as it was done so that we would not lose any scans should the computer malfunction. The scan above on left was the last one taken. Before we could save this view, we saw a large surge of 'energy' erupt from the area of her right foot. It connected with the computer table and the computer crashed. On rebooting the computer, the only scan that was found was the one above on left - despite it not having been saved. The woman was then given ten minutes hands-on healing. She returned the following week for another scan - seen above on right. She reported that psychic disturbances had stopped. The base energy, between legs and around her legs appeared much calmer and more contained. The top picture (right) shows a biofield image of a ‘control’ envelope, resting on a table, with nothing what-so-ever in it. The bottom picture shows the change in the biofield image as a result of a spiritual teacher's handwriting placed in the envelope. The conditions remained the same. Many people use BFR for paranormal research. They are investigating phenomena which currently fall outside of the norm. The biofield scans above are of a man who felt that he was periodically ‘overshadowed’ by a strange ‘presence’. This presence did not feel benevolent to him and he became very disturbed and upset while it was around him. He underwent intensive treatment with Reiki healing, essential oils and cleansing herbs. After a few weeks of this treatment he reported that he no longer felt the presence around him and could once more resume his normal activities. The biofield scans above show some unusual patterns on and around him at the time that he felt the presence. Note the red pools of energy in the field around him which also connect with his body. There is also speckling, on and around him. There are white and black speckles within the light of the attachment. This is extremely unusual. 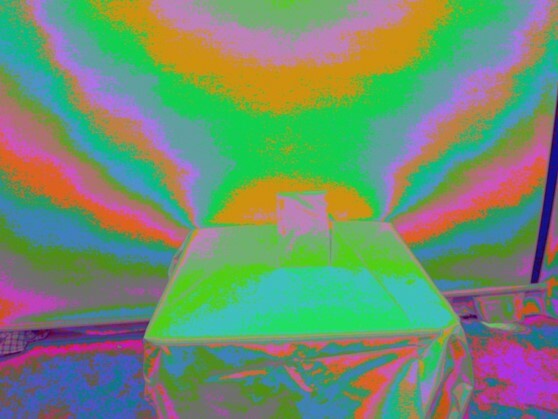 These scans were taken using full-spectrum, daylight fluorescent tube on the ceiling. Closer view showing lines of connection to woman (centrally up throat to nose and eye). Note horizontal banding to the right of her head. The woman above often felt 'haunted' by thoughts of having committed suicide in a previous life. Again, we can see the speckling containing white and black pixels (highly unusual). Note also the horizontal bands of pixels. There seem to be several areas of interest e.g. the red shape to her right and the unusual shapes to her left, which have the characteristic speckling within them. This scan was taken in natural daylight (coming from window to her left) and is darker than the scans of man above. 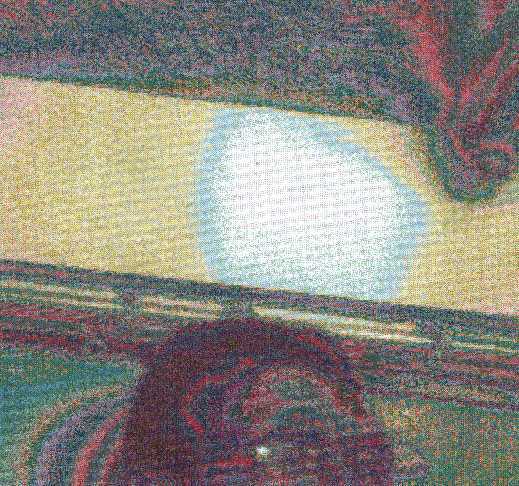 We often see paranormal effects in scans taken in daylight or low lighting. A portal into another dimension? In 1996, well-known psychic surgeon Stephen Turoff came for a biofield scan. Something amazing and extraordinary happened. Stephen stood in front of a white screen, we used normal lighting - fluorescent tube on ceiling. We could see Stephen’s biofield in real-time on the computer screen. Unfortunately, we weren’t quick enough to ‘grab’ the shot of the face, but we did get the shot (on left) showing the very unusual white shape. In the mid 1990s, we didn’t have the computer processing power to be able to record the session in real time. What a shame as we would have a record of the face! Stephen thought the face was that of Dr Kahn (a medical doctor in spirit) who used to ‘operate’ through him. Maybe we were looking through a portal at another dimension? A little bit of explanation (on right) of what you can see in scan. We have links with the Sir Arthur Conan Doyle Centre in Edinburgh which was formed to provide for the physical, emotional and spiritual well-being of society and community needs in Edinburgh. 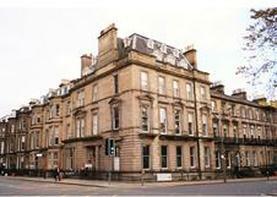 The Edinburgh Association of Spiritualists is based at the Centre. The Centre provides a varied programme of workshops and seminars. 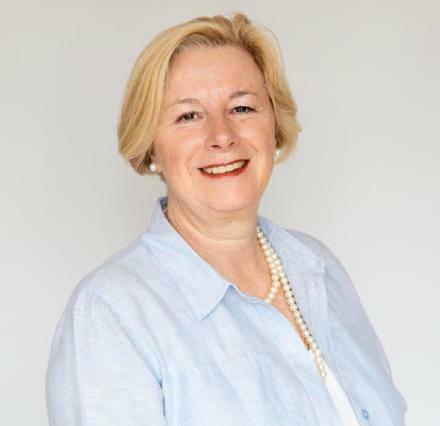 Research into the paranormal is conducted by Ann Treherne. She works with world-famous mediums using BioField Reader. Lots of people have been asking for advice on how to set-up their spiritual science sessions. The Scole Experimental Group compiled a booklet which covers how they set-up for their experimental sessions. This Basic guide has been used by many new physical circles all over the world and has helped many of them to successfully develop their own phenomena. Click here to download The Basic Guide to the Development and Practice of the New Psychic and Physical Phenomena using Energy. Discount for all students, associates and colleagues of Ann Treherne. Please enter the discount code you have been given in box below. Due to sometimes wholly unexpected, paranormal results, we are now using BFR - in The Norfolk Experiment - to try to capture evidence of communication between the dimensions. We have the capacity within the program to write a very large number of filters. Given the paranormal results already achieved, it is hoped that one filter (or perhaps many) will become a 'channel' through which the 'communicators' can transmit their signals.